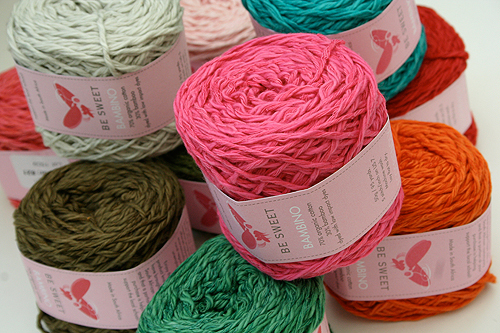 What's not to love about Bambino Bamboo and Cotton yarn from Be Sweet? 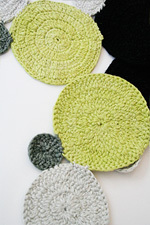 This gorgeous blend of organic cotton and bamboo is just fantastic - great texture, great color on color play and very, very easy on the fingers. It knits up into a soft, luscious solid with twinkle hues - because, of course, this yarn is hand dyed AND hand spun. Due to Supply issues at Be Sweet - we are very low on many colors - you'll find available colors in the dropdown menu below. When the issue is resolved, will let everyone know that its' back! 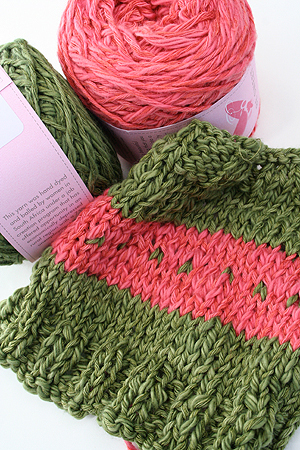 A sea of color in Bambino - Organic Cotton and Bamboo!